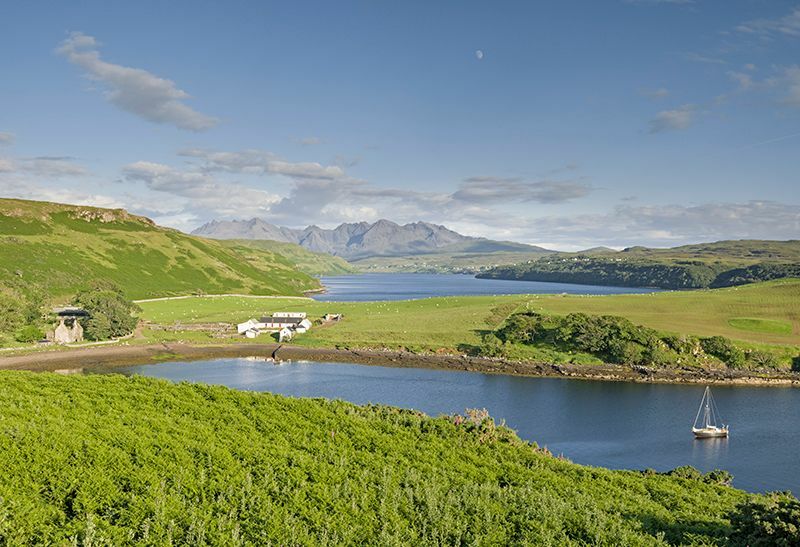 This farm sits upon a little promintory which projects out into Loch Harport. This view shows Gesto bay in the foreground with Loch Harport stretching away towards the distant Cuillin. Yacht dropped anchor just as I arrived making a bit of foreground interest.